Are you going through a separation or divorce? Would you like to avoid the time, money and stress involved with going to court? Mediate BC is a not-for-profit society that provides people with practical, accessible and affordable choices for resolving their disputes. With funding from the Law Foundation of BC, Mediate BC has launched the Sliding Scale Family Mediation Project this Spring to help families experiencing divorce and separation to access mediation services at fees which are set based on the family’s net income and assets/debts. Family mediators will help you reach decisions about issues such as: property division, child and spousal support, parenting time and guardianship without going to court. This approach promotes a healthy relationship with the participants and any children involved, and can also save you time, money and stress. Visit our website or call the Sliding Scale Project Mediation Coordinator, Maria Silva, at 1-877-656-1300 ext. 108 for more information. She will help you decide if this program is the right choice for you. What if I or my ex-spouse/partner qualify for Legal Aid? You may be eligible for the Family Mediation Referral Program which provides the first six hours of family mediation services at no charge to your family. To apply for this service, visit a Legal Aid office or contact the LSS Call Centre. 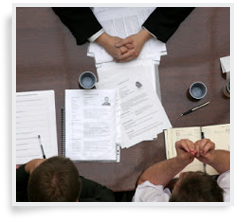 – About Mediation: information on mediation, including the role of a mediator and how to choose one. – Roster Mediator Directories: searchable directories of civil, family, and child protection mediators to assist people in selecting a suitable mediator to resolve their dispute. – Public Education and Training: offers free public seminars on mediation and professional development opportunities for dispute resolution practitioners.